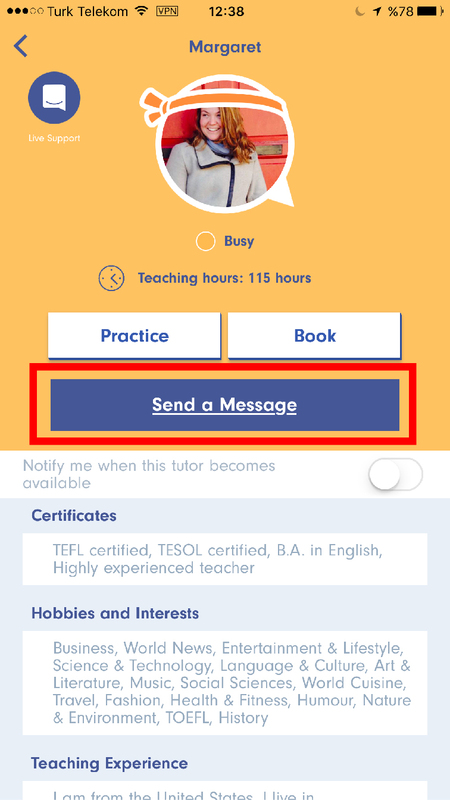 Mobile - How can I send a message to a tutor in English Ninjas? 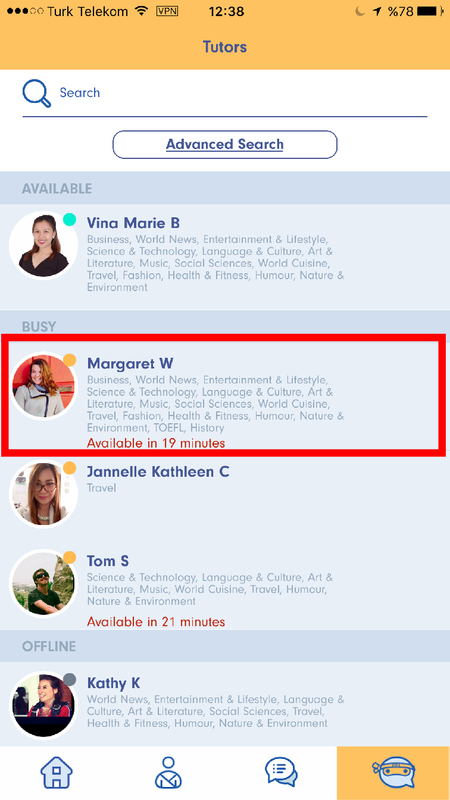 You can send message to any tutor in English Ninjas. 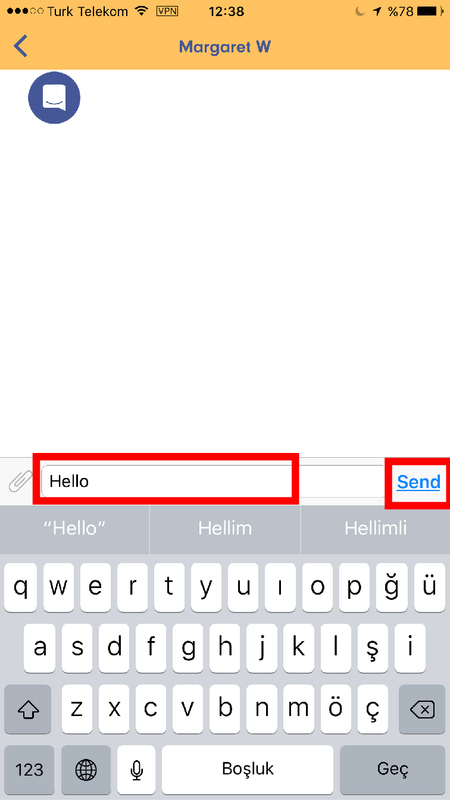 3) Write your message and hit "Send"
Tutor will send you an proper answer as soon as possible when s/he is suitable.